SEGD Branded Environments Las Vegasreturns on March 28 at the Las Vegas Convention Center, in partnership with the Digital Signage Expo. Branded Environments is SEGD’s premier event, showcasing the power of branded environments and experiences and how they are activating and transforming the places we live, play, work and rest. SEGD Branded Environments Las Vegas will deliver a focused learning experience on how to plan and design user-centric brand environments that engage customers in new and memorable ways. 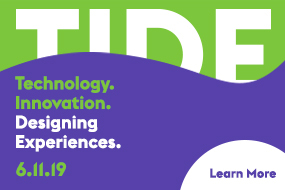 Attendees will participate in a day-long journey focusing on the value of design and brand for businesses through a series of case studies, insightful presentations and dialogues with global design leaders. Speakers from Volume Inc., Shikatani Lacroix, Infinite Scale,ESI Design, Hunt Designand Collins will guide you through the Branded Environments experience, presenting practical insights about digital integration, content and media and the business of designing and managing for users and clients. Attendees will have opportunities to network with peers and industry leaders both during the event and at the Tuesday evening reception, hosted and sponsored by SNA. On March 29, SEGD will be offering a premium experiential tour of the T-Mobile Arena, led by Brian Mirakianof Populous Activate. Presenting Sponsor Reality Interactivewill lead attendees on an insider tour of the DSE show floor—access included with registration. Whether you are local to the Las Vegas area or a plane ride away, plan to attend the event for brand-centric customer experiences. 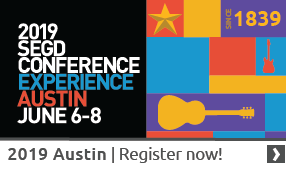 Register for SEGD Branded Environments Las VegasOR add another 2017 SEGD Eventto your SEGD Branded Environments Las Vegas registration for just $200 more!